GM was originally seen as hedging its bets when it made its Lyft investment, teaming up with a company that could wind up buying millions of its vehicles in the years ahead. Lyft, the nation’s second-largest ride-sharing service, launched its initial public offering on Friday, valuing the company at more than $20 billion. One of the big winners could be General Motors, which holds 18.6 million shares, currently valued at more than $1.3 billion — or about 2.6 times more than the $500 million the automaker invested in the service back in January 2016. As “a significant investor,” it’s no wonder that GM Chief Executive Officer Mary Barra told NBC News she is watching Lyft’s IPO "with great interest." Lyft beat rival Uber to market and has been generating significant interest among investors. That reflects a widespread belief that millions of Americans will eventually shift away from owning a vehicle to using services like Lyft to get around. By 2030, as much as 30 percent of the miles Americans travel by road will be in vehicles operated by companies like Lyft, according to a study by the Boston Consulting Group. That scenario could create problems for the auto industry if it results in lower demand for personally owned vehicles, according to industry analysts. GM was seen as hedging its bets when it made its Lyft investment, teaming up with a company that could wind up buying millions of its vehicles in the years ahead. Other automakers have taken a similar approach, with GM’s arch-rival Toyota, for one, partnering with Uber. A key question is what GM might do once the Lyft IPO is completed. It could hold on and hope to see its shares gain even more value, or it could sell off some or all of its holdings. The answer to that question may depend on what it sees in the future for the alliance. When it was first announced, GM’s then-president Dan Ammann said the automaker wanted to put some of the autonomous vehicles it is developing into service through Lyft. That fit into the ride-sharing service’s own strategy. Right now, Lyft — like rival Uber — continues to operate deeply in the red, in large part because the drivers who contract with the service make up its single-biggest cost. The BCG study estimated that the cost of providing rides would drop by roughly half, on a per-mile basis, once companies like Lyft could field fleets of completely driverless vehicles. But while Lyft is now running its own autonomous vehicle development program, GM has stepped back. “Right now… we have no active projects under way,” Barra said in June. Instead, the automaker has shifted the focus of its autonomous development program. Late last year, Ammann stepped away from his GM duties to become CEO of San Francisco-based Cruise Automation, the automaker’s self-driving vehicle research subsidiary. It has indicated it hopes to launch a pilot program using autonomous versions of its Chevrolet Bolt EV model this year. But that would be done through Maven, another GM subsidiary that could wind up becoming a Lyft competitor. It is expected that GM won’t sever its ties to Lyft entirely, even if it sells off some or all of its 18.6 million shares. 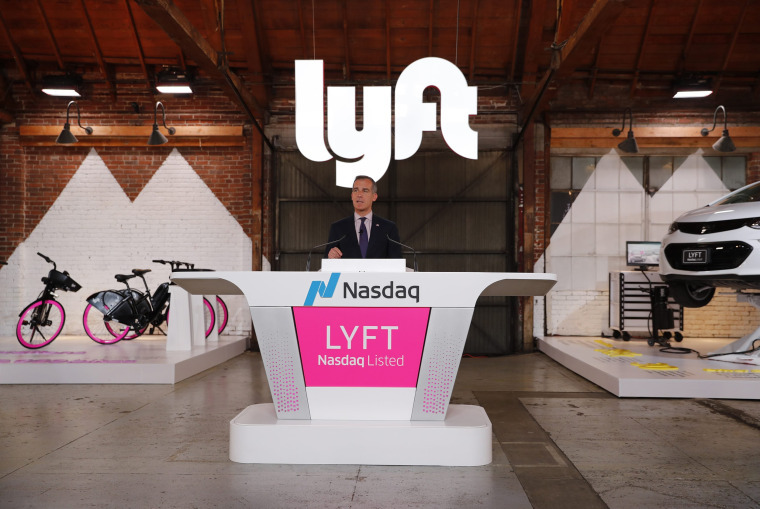 If nothing else, Andrea and other observers expect the carmaker will continue to offer a special leasing program for Lyft drivers that has helped it create a new market for its vehicles. For its part, the automaker said it had no comment on its plans following the Lyft IPO.